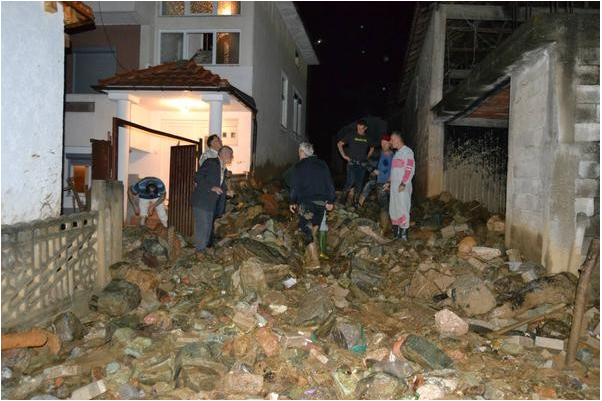 Strong winds and heavy rainfall in the Polog Region of north-western Macedonia, yesterday, 03 August 2015, caused the Pena and Porojska rivers to overflow, as well as flash flooding and storm damage. The worst affected areas are Tetovo city and municipality, and surrounding areas. Roads and buildings have been damaged, particularly in Shipkovica and Golema Rechica, according to ECHO. The city of Tetovo is located in the foothills of Šar Mountain and divided by the Pena River, making it vulnerable to both storm run-off and river flooding. The storms and floods have been described as the worst to hit the area in over a decade.